Chone Figgins, average draft position: 101. 9/60, four runs, one HR, three RBIs, one SB. Even modest projections for Figgins coming off a down 2010 had him stealing 35-40 bases and outpacing last year’s .259 average. Now, if you look at ZiPS Updated projections, we’ve got a .243 average and 30 steals. Yikes. So is he hitting a signed Babe Ruth ball over the fence when Denis Leary is your step-father bad? Clearly, his dwindling walk rate is a concern, but I can’t imagine it stays mired below 5%. So he will get on base more via the base on balls and presumably run. Further, he isn’t swinging and missing a ton: 10% K rate and 4.2% swinging strikes (totally comparable to other seasons in his career). He is actually making more contact this year than last year (albeit in a tiny sample and only by 0.1% more). Figgins is just doing horrible on balls in play (.148). He has been around .300 before, but never below that mark. I do worry that he is hitting more fly balls for some reason (38.5% this year compared to 33.8% for his career). He owns a career 1.27 GB/FB rate, yet his line drive and ground ball percentages are down this year. Combine that with more fly balls and you have a 2011 GB/FB rate of 1.10. I’m going to side more with the ZiPS (ROS) projection, a .255/.342 line with 30 SBs. I think there is a bit of upside going forward if he can correct his fly ball hitting ways. 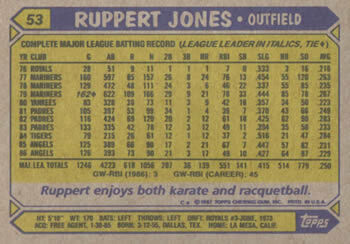 I also wouldn’t be shocked with a .265 average and 35 stolen bases. Obviously, it’s a far cry from two years ago (and, to some extent, last season), but he isn’t killing you…yet. 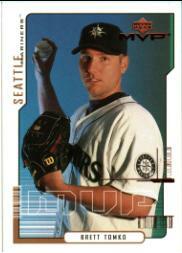 This is Jamie Moyer’s rookie card. This card was printed in 1987. It is 2010 and Moyer is still pitching. My gosh, my golly. Apparently, way back, 30 years ago, Moyer threw at least 27 consecutive hitless innings. It was just high school, but people luck into hits all the time. Surely this foretold of greatness for the young Moyer. 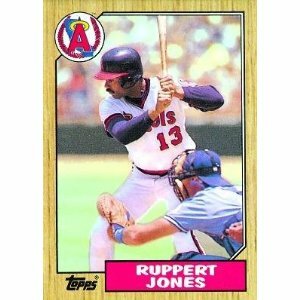 He would be a sixth round draft pick in 1984 and would reach the majors in 1986. However, from 1986 – 1991, Moyer would post a 4.56 ERA and 1.50 WHIP. In 1998 the Cubs would trade him and Rafael Palmeiro to the Texas Rangers for, predominantly, Mitch Williams and Curt Wilkerson. 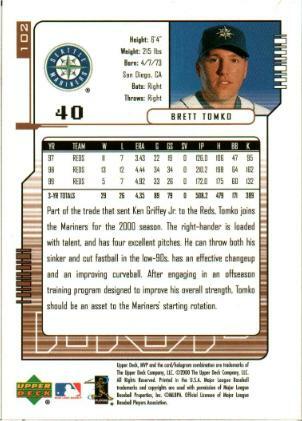 In 1993, he would resurface with the Baltimore Orioles and pitch pretty well over three seasons. He’d then make stops in Boston, Seattle and Philadelphia. In 2003, at age 40, Moyer would finish fifth in the Cy Young voting. In 2008, he would win the World Series while playing for his beloved Philadelphia Phillies – 28 years after he graduated high school. Nearly 30 years ago, Moyer had a 27 inning hitless streak. If you told that 18-year-old high school student that he would have a 24 season professional baseball career, he would been dumbfounded. Heck, I know it is currently happening and I’m dumbstruck. For the history of this series, check out this article: Howard Johnson.